A budget is crucial to business survival. It estimates your revenue and expenses for a particular period of time. In addition to purchasing extra inventory to meet seasonal demands, your business may face additional costs for goodwill gestures during the holiday season, such as holding a holiday party for employees and/or giving holidays bonuses. An accountant can analyze your budget, assist in making changes, and catch errors to ensure your budget is on target. 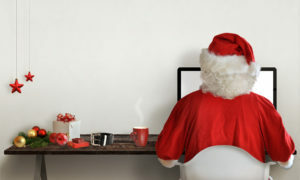 During the holidays, your time is better spent running your business, assisting customers, and working towards business goals, not tracking finances and inputting data. An accountant can help you better utilize your time by keeping track of business finances and ensuring everything is in order so that you can focus on your business. Dealing with numbers all day can be not only tedious, but confusing. As Randall Dang explains, an experienced accountant can offer strategic advice and insight regarding your finances so that your business is successful during the holidays. An accountant can help you organize your spending and financial information so that you know where you stand as the year ends. Continuing to Grow at Dang & Co.